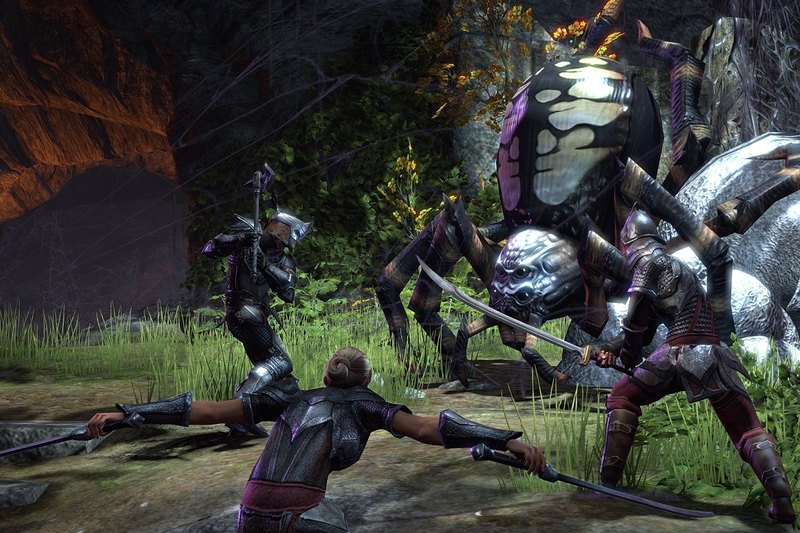 Bethesda's Elder Scrolls Online is launching into a market already crowded by classic staples like World of Warcraft and Everquest, free-to-play contenders like Neverwinter, and hybrid approaches like Guild Wars 2. At PAX East 2013, GamesIndustry International asked game director Matt Firor how he felt about the standing out in the fantasy MMO space. "It is a crowded space, but this is Elder Scrolls. One of things of having a huge IP like Elder Scrolls is it cuts through the noise. It's safe to say - looking at the lines for people to play - that everyone knows about it. That is the first step to getting a lot of people into the game. Part of the crowded landscape is it's hard to get your message out there. When you say 'Elder Scrolls', we don't have a problem getting the message out, which helps us immensely," said Firor. Firor and Bethesda aren't afraid of the player expectations when it comes to the Elder Scrolls brand. In fact, Firor said that Elder Scrolls has always lent itself to a possible MMO. "Elder Scrolls is definitely a quality target, but everything it brings with it intrinsically is almost perfectly suited for an MMO. Giant open world, lots of cool classes, lots of history and depth, the cool combat system that you just experienced. That came from Elder Scrolls. That by far outweighs the expectations of the crowd who hear Elder Scrolls and want to come in. We want to make it meet their expectations," he explained. Spiders are never a good thing. "We know we have Elder Scrolls players and MMO players that are interested. Skyrim and Elder Scrolls players won't have problems adapting to the system; it's very similar. If you've never played an Elder Scrolls game, you're going to need to wrap your brain around it." The Elder Scrolls Online features fully-voiced NPCs like EA and BioWare's Star Wars: The Old Republic, but Firor wanted to correct those that would compare the two. He also explained that creating ongoing content for the game would not be made more difficult by the voice component. Bethesda will be prepared for more post-launch content by splitting its development team during later betas. "We're fully voiced like Skyrim, not like Old Republic," said Firor. "Old Republic, you had your voice for your character. Here it's just NPCs, like Skyrim. You supply your character's voice. So we cut down on a lot [of voice acting] there. Our character interaction is in-world - there are no cutscenes - and that reduces the problem that you're talking about. So we do need to record lines, but that's not that hard in the long run." "We're in beta right now, we're almost feature complete. We'll go into the bigger betas and test everything. We'll split the team off at that point and have one team dedicated to beta feedback and one working on post-launch content. We're absolutely planning on post-launch content from the day after launch, because really it's a service. Day one for an MMO is not a launch date, it's the first day of a service. Players are always going to want more and we're going to deliver the content."